The popular belief is that people do not change their morning coffee brand and newspaper. Likewise, an online rummy player will never give up his love for the game as it rejuvenates him besides giving him handsome returns on sites like adda52rummy. 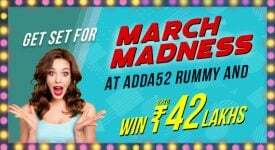 After the successful Rummy millionaire tournament, Adda52 Rummy has organised two major events of Rs 5,00,000 each at 1200 noon on April 15 and April 30. The two events are besides regular tournaments offering very good returns to players. Sticking to its norm of offering more opportunities to the online players, the website has multiple options for the players to be in the finals. One can be in the finals of 5 Lakhs tourney in three ways and win big cash in the prize money tournaments. The players will have to compete in Satellites and then battle out in Daily Qualifiers to be in the finals. Fee for Satellites is just Rs 100. Second choice is to play directly in the Daily Qualifiers with Rs 500 buy-in and figure in the finals. The third option is direct entry by paying Rs 5,000 on April 15. The cycle will get repeated for the April 30 tournament also. The tournaments offer a lot of opportunities to play games and relieve their stress also. It is a misconception to think that entire nation is in the grip of general elections and IPL fever. It is true that people are glued to television sets to watch the high-pitched battles in the seven-phase elections in the country. Cricket lovers are keeping a track of which team is playing and moving up in the points tally. Media is full of elections and cricket related news. But the reality is that it is getting too much on the nerves of people as allegations and counter allegations have been dominating and nothing worthwhile is happening on the poll front. It is time to think of right mix and enjoy. 25-year-old hardware engineer Nripen, who is employed with a multi-national company, is having best of both. He is catching up with election and IPL news. But he is also enjoying his online rummy on adda52 rummy. 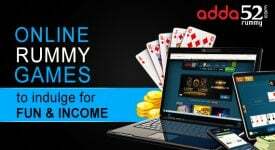 Certainly, he cannot miss out online rummy as two major tournaments are underway and they give a good opportunity to win big money. Also, rummy gives him relief from his tough and demanding working schedule in the office. Not that he is keeping his eyes closed on biggest developments in the country. As a smart man, he is not sucked into allegations and counter-allegations narrative but reads the important developments. On cricket, he checks the points table and reads about some stunning performances. “I love my rummy. It gives me money and pleasure. Nothing else can compensate for them,” Nripen says. 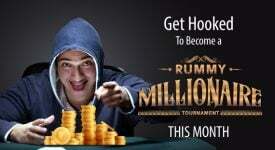 Millions of online rummy players have adopted the same strategy. 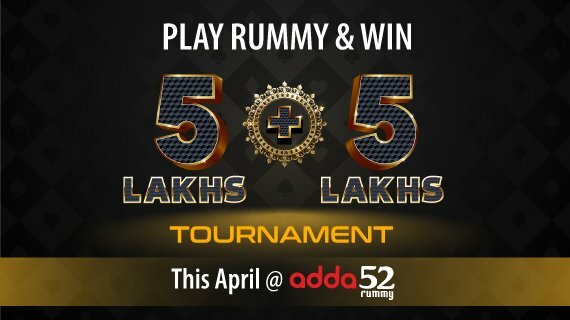 The response for the two big events on adda52rummy has been tremendous. The most reliable website tournaments have standard rules and the same will apply to ensure fair play in this 13-card format rummy.